Growing up I always heard that if I drink enough water my skin would stay clear. So I drank water like crazy. Vanity will get you everywhere when you’re talking to a teenager, right? 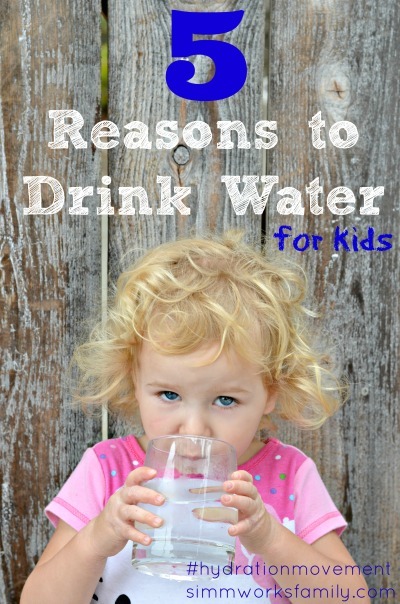 As the mom of two young kids I’m constantly worrying if my children drinking enough water. From their constant requests for juice or milk to the fact that everywhere we go they have the option to choose sugary drinks over water I just hope that I’m doing the best I can when I push water first. Keeping kids hydrated is important. My daughter is awesome at choosing water. She has no problem taking her bottle of water with her everywhere and drinking it when thirsty throughout the day. However my son prefers milk and always chooses it over water. So I’ve begun researching the importance of hydration. What I’ve found has reaffirmed my belief that water should be their first choice in drink. And I really hope that as they grow up they’ll realize just how great water really is. And not just because it leaves you with fabulous skin.